Math - Welcome to Mrs. Clauson's Classroom Site! 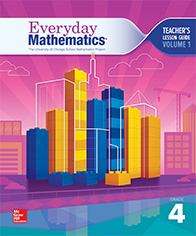 Our math program is Everyday Math by McGraw Hill Publishers. Click here for parent resources and more information about the program. Use your child's login information to access Everyday Math Online at connected.mcgraw-hiil.com There are games, an Interactive Student Reference Book and help with each and every lesson! Check it out!